Get Back Control Of Your Screens! 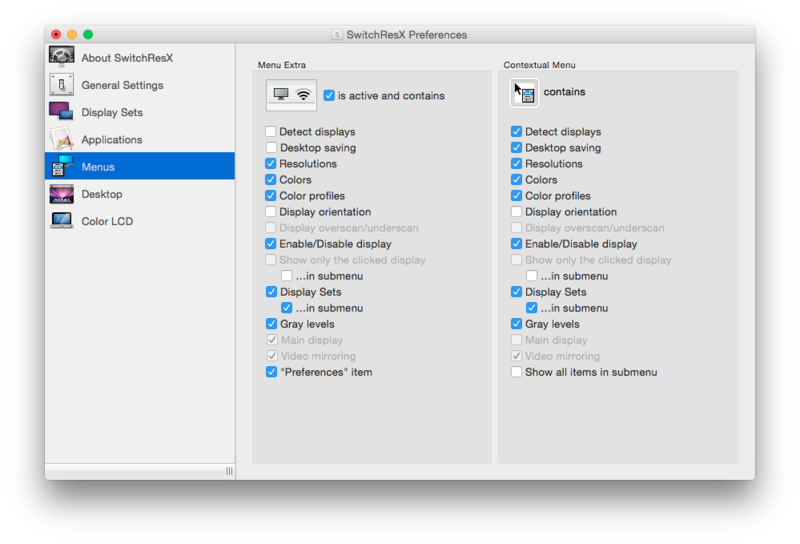 With SwitchResX you always have all the relevant options at hand – either clicking on its menu bar icon or using the contextual menu. Or both, if you prefer to decide on the go. Both menus offer you a wide variety of options, outrunning Apples basic service easily. Even better, to match the options displayed to you, both menus offer you to choose in detail, what is important to you. Enjoy control at any time!